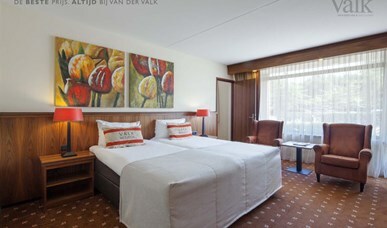 The tower rooms are situated on the 2nd and 3rd floor of the hotel tower. The rooms are comfortably furnished: A box spring, sitting area with two armchairs, LCD-TV, a writing desk and ample wardrobe space. The bathroom features separate bath and shower, toilet and sink. Furthermore the room is equipped with telephone, pay-tv, in-room safe, small fridge for personal use and wireless internet connection.